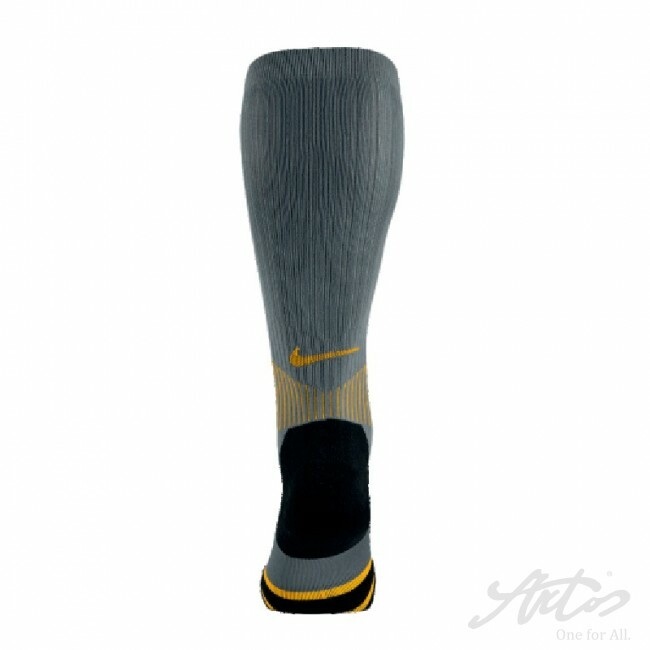 • Cushioning zones provide extra stability and comfort. 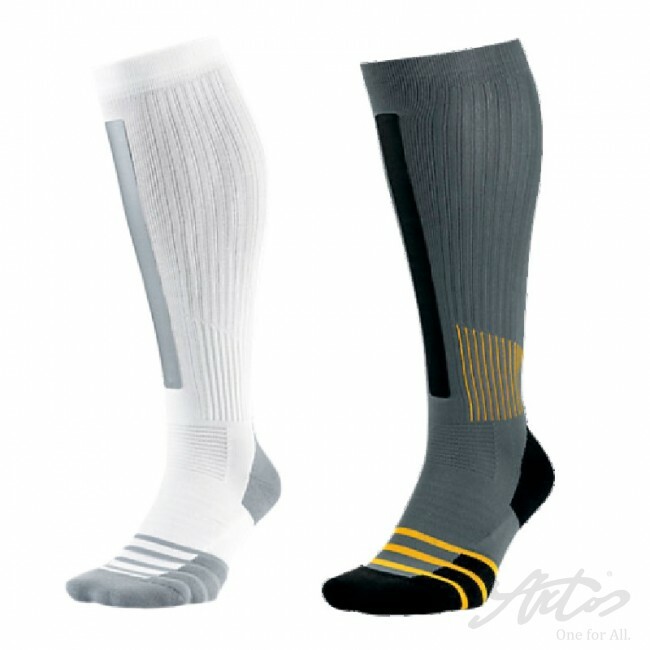 • Anatomical left/right fit offers minimal bulk. 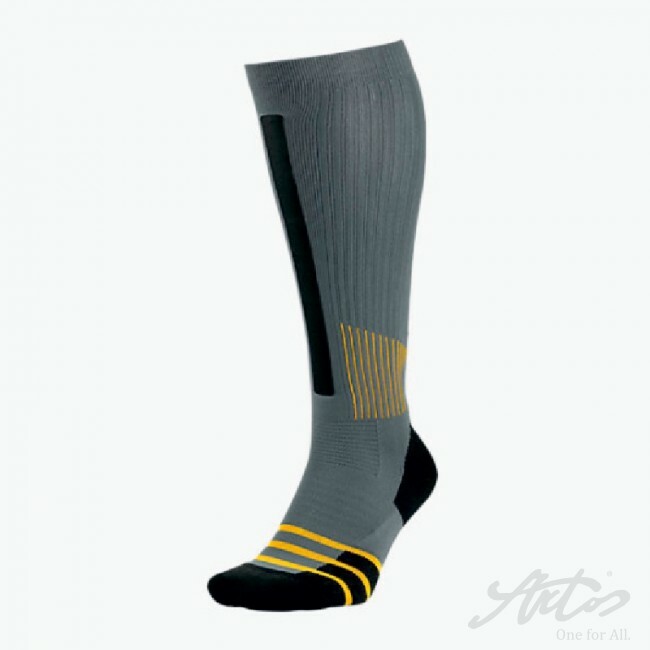 • Arch support for a snug, secure fit. 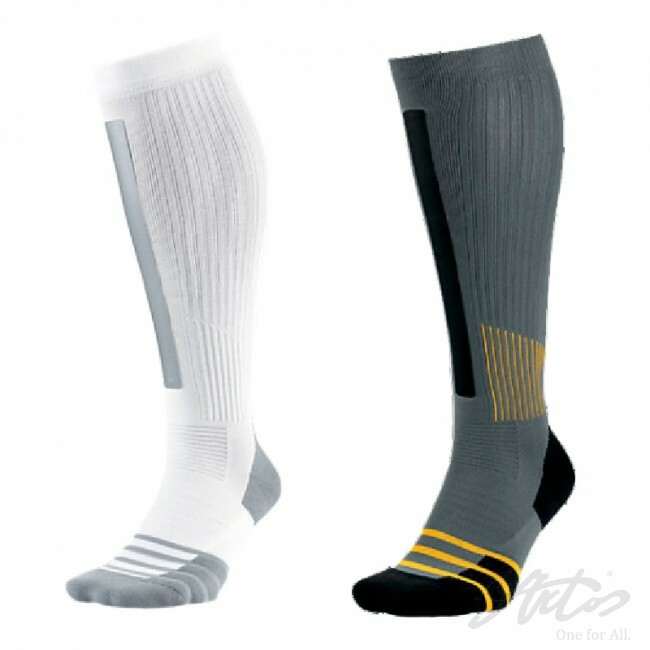 Colours: White, Cool Grey (s. picture). 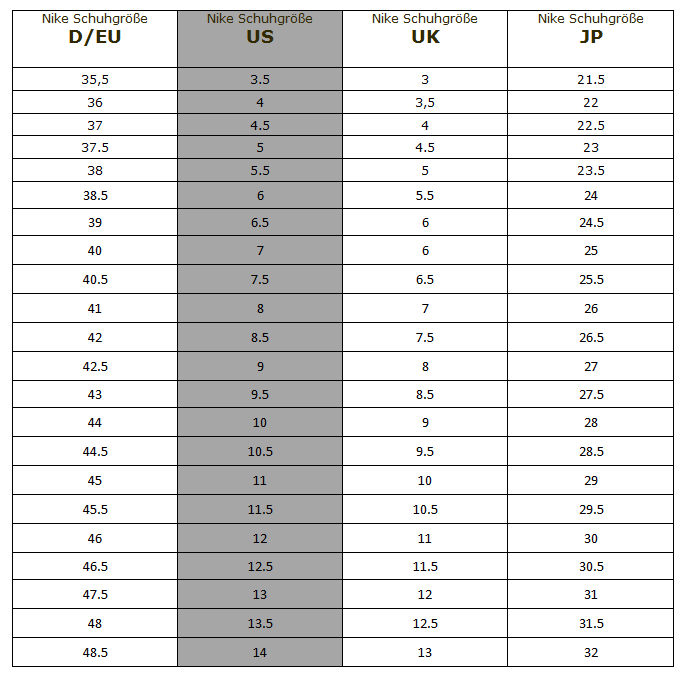 Fabric: Dri-FIT 86% polyester, 7% spandex, 5%cotton, 2% nylon. 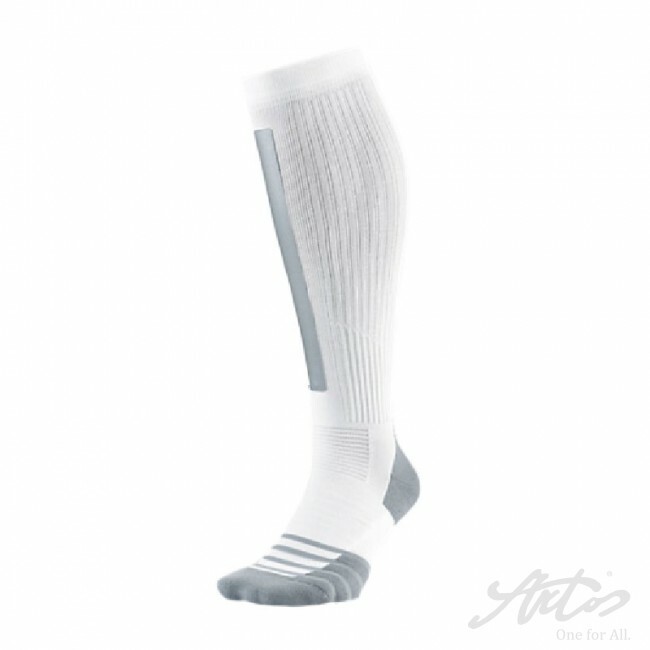 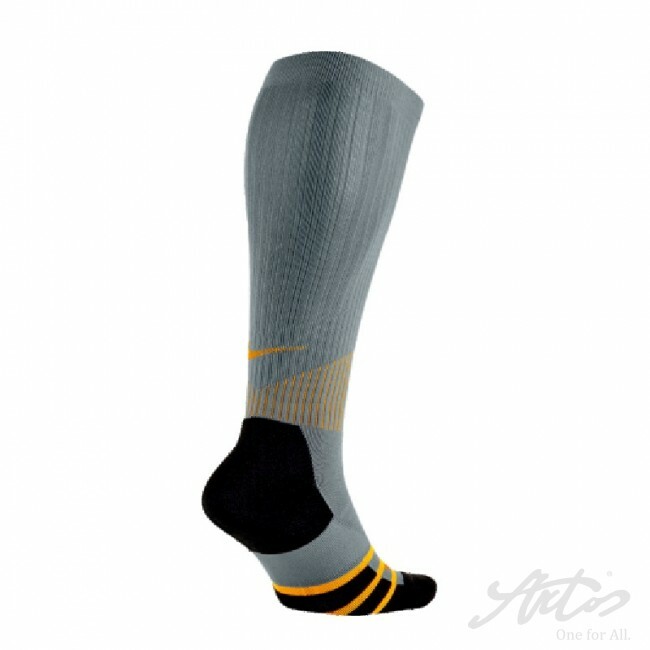 The Nike Elite High-Intensity Over-the-Calf Training Socks are made with anti-abrasion panels at the shin and zonal cushioning to provide impact protection and performance comfort during your combat.